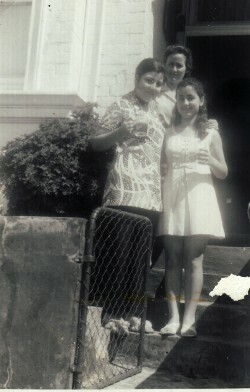 Above: With my maternal grandparents, Stylianos and Despina Kafes. In the top row are: Anna vasiliou, my sister, Sophia and me. In the front are Panagiotis Kafe and Despina Anastasiou, while on the right is Mary Kafes. Above Right: With my sister, Sophia. Above: 'Horianoi' and family. 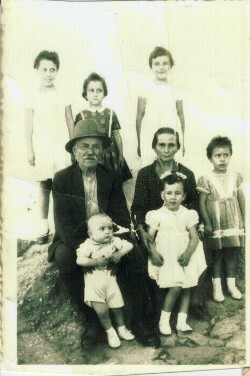 In the top row,and in the middle of photograph iis my mother, Katina. I am in the middle- wearing a white ponytail. 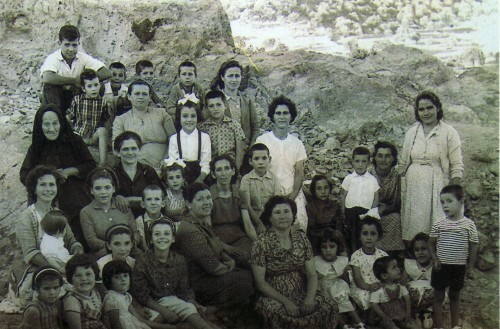 In the top row, first from left is Stratos Zontanos, while Kyraikoula Zontanou is in the top row, fourth from left. 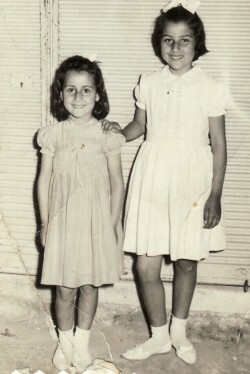 Standing on the right is Stavroula Havopoulou. On the right, in the front are: Ioannis Havopoulos (standing), Ignatios Havopoulos (third) and my sister, Sofia (fourth). 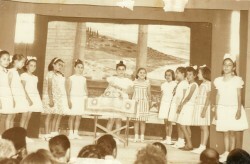 Above: Primary School play in Agia Paraskevi. I am fifth from the right. While Dimitra Psomadelli, Irini Sofianou, Vaso Tafila, Kaliroi and Froso Komninaka are 3rd, 6th, 7th, 8th and 9th from the right respectively. 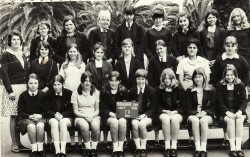 Above Right: Maroubra Girls High School. I am in the top row, third from right. Above: Newtown, Sydney (1971). 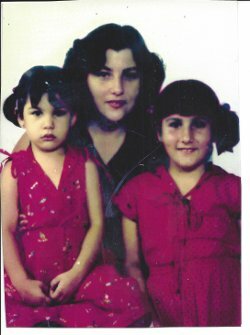 With my mother, Katina, and sister, Sofia. Above Right: On my wedding day, with my husband, Georgios Katzos. Above: With my daughters, Kaity and Mahi. Above Right: Christmas 2012. 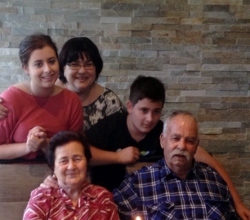 With my parents, Katina and Mihail, and my grandchildren, Stamatia and Kostas.